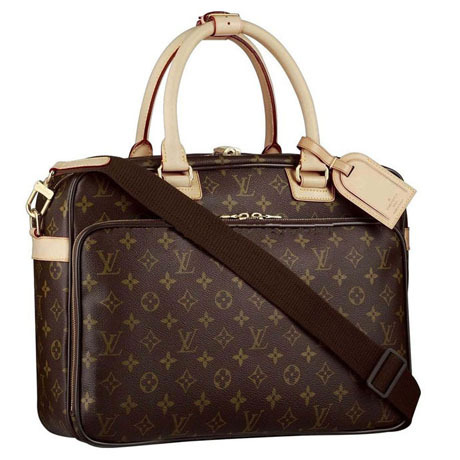 If somebody would ask you to name a few famous handbag brands, probably Louis Vuitton would be one of your first picks. This company is probably one of the most popular handbag makers and it’s logical why this is happening since they create such beautiful handbags that are worn by most celebrities. But they don’t limit themselves to handbags, Louis Vuitton also sells shoes, watches, jewelry, accessories, and even books. The founder, Louis Vuitton, started this company in 1854 in Paris and became famous at first by introducing his easy to carry trunks. People were soon buying the functional trunks but he became more famous when trademarked the stripped pattern that we all see today. This way, no other company was to use that pattern in order to make their products. This is why, whenever we see that, we know it’s a Louis Vuitton bag, so it was definitely a well thought strategy. Soon they became known world-wide with stores in all major cities from all continents. As we know, with success also comes envy and people trying to copy you. Louis Vuitton definitely felt this when they sued a number of individuals for copyright infringement , including Sony for using one of their logos in a music video. They also sued artists that used their brand as an icon in the contemporary world. It seems that all these controversies only made them more and more popular and made people instantly recognize a Louis Vuitton bag. This is also due to the famous celebrities who have been wearing these handbags as a trend for a few years now. Some of them can cost a fortune but they are definitely a fashion icon and a way to show a certain social status. Another interesting thing about this brand is the fact that they have very exclusive shops where people can only buy limited editions of certain bags. This is why wearing a Louis Vuitton bag is definitely something to be proud of. The way this brand has created an exclusive group definitely plays a big part of their success and this is probably the number one reason why it is so popular among celebrities, especially those trying to build a certain status. Whether you are an exclusivist or not, you have to agree that there is something really special about a Louis Vuitton bag and you get an amazing feeling while wearing such an expensive and extraordinary item.